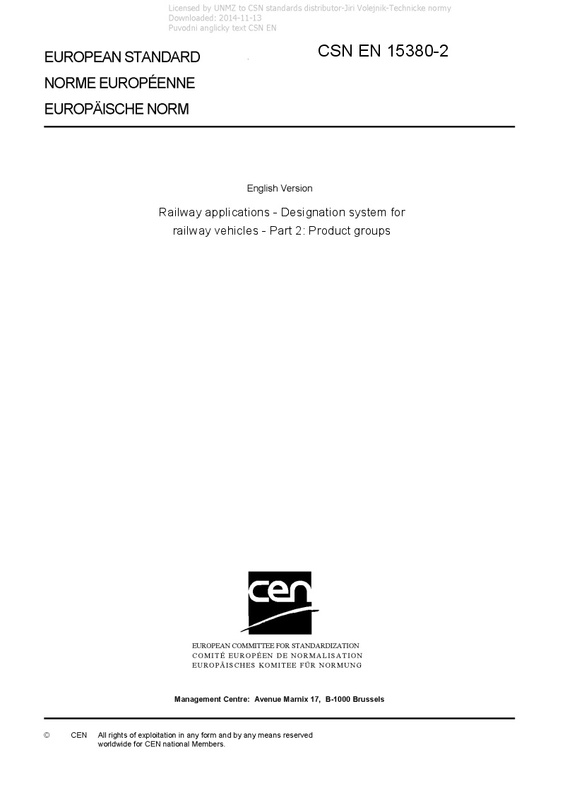 EN 15380-2 Railway applications - Designation system for railway vehicles - Part 2: Product groups - As a railway-specific technical standard, this European Standard is the basis for establishing product- oriented structures. This standard essentially is for product structuring; however the function-overlapping "combined assemblies" have to be taken into account. This structure is a common basis for communication between customer, suppliers, subcontractors and others in all stages of the cooperation.